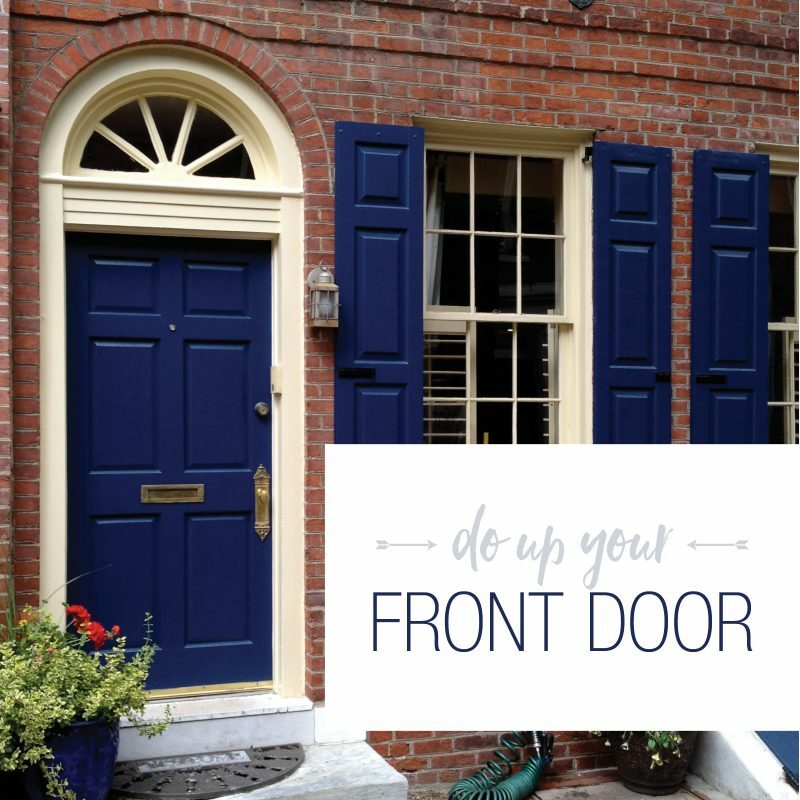 A front door is the first thing people see when they approach your house and, in some cases, it is the only thing they see, so you want it to look good. 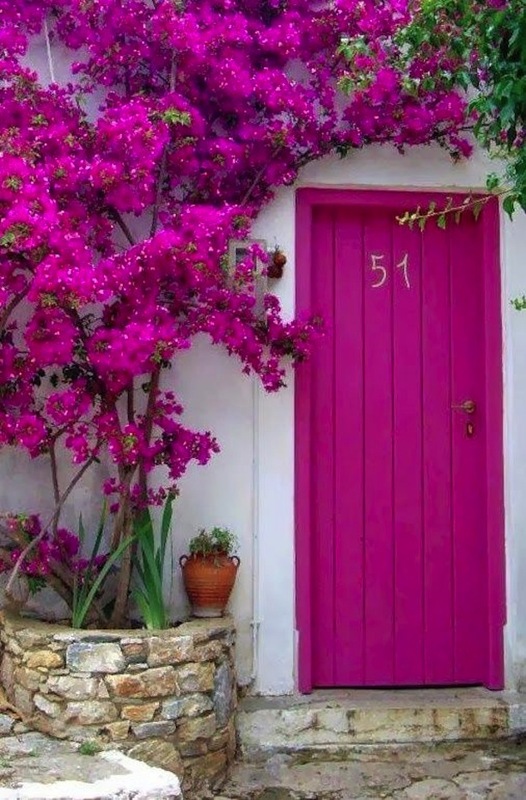 Take a moment, step back in your yard and imagine what you could do to just your front door. 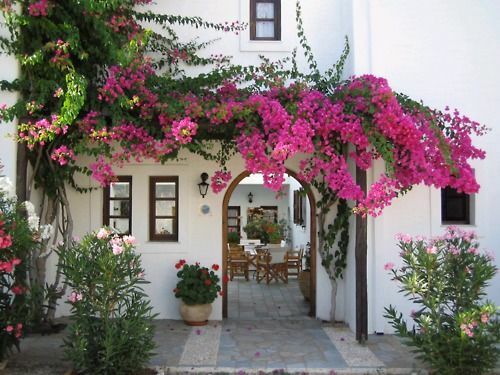 Transforming your front door and walkway might be all you need to feel better about the outside of your home. I always love the contrast between black and white. You can’t go wrong with white trim and rich black accents. What’s even more spectacular here is taking out the same old, plain old wood windowless door and letting some light shine in. 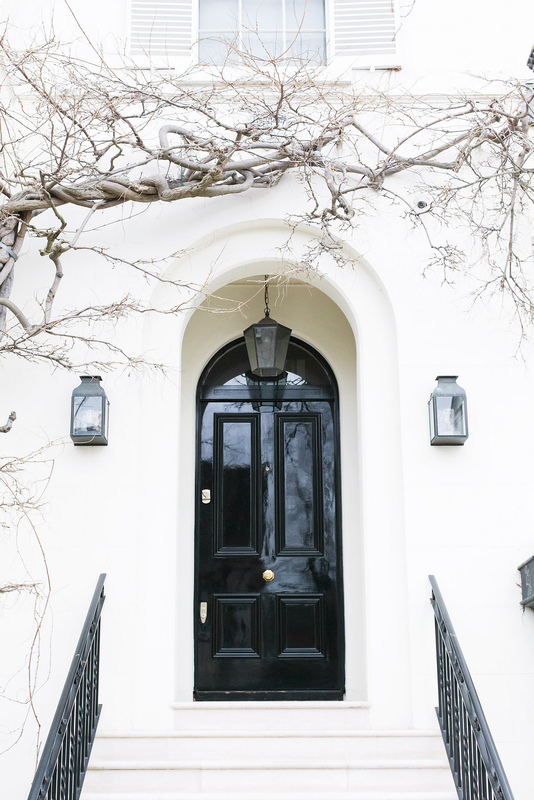 The windowpanes on this cool black door are incredibly chic, plus they’ll help completely brighten up your entry. It is of course; the first place guests step foot when they enter your home, why not make it beautiful. 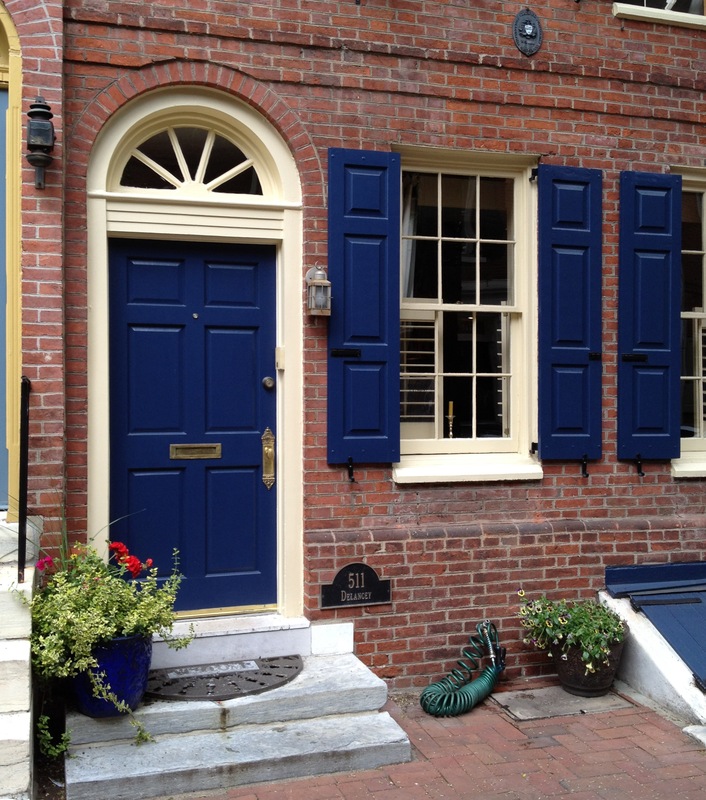 If you’re working with a red/brown brick house a fantastic door color choice is this bold royal blue. 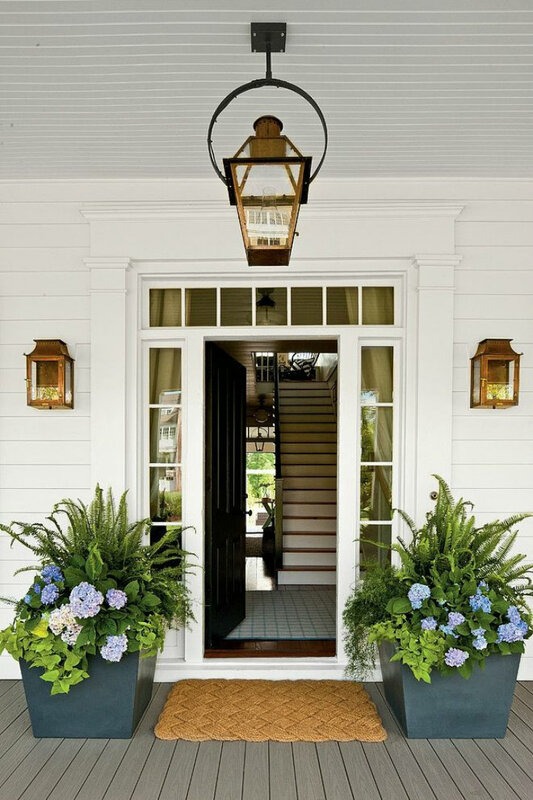 I love the way the creamy white trim gives depth to the door and windows. And old marble stairs? How cool is that. 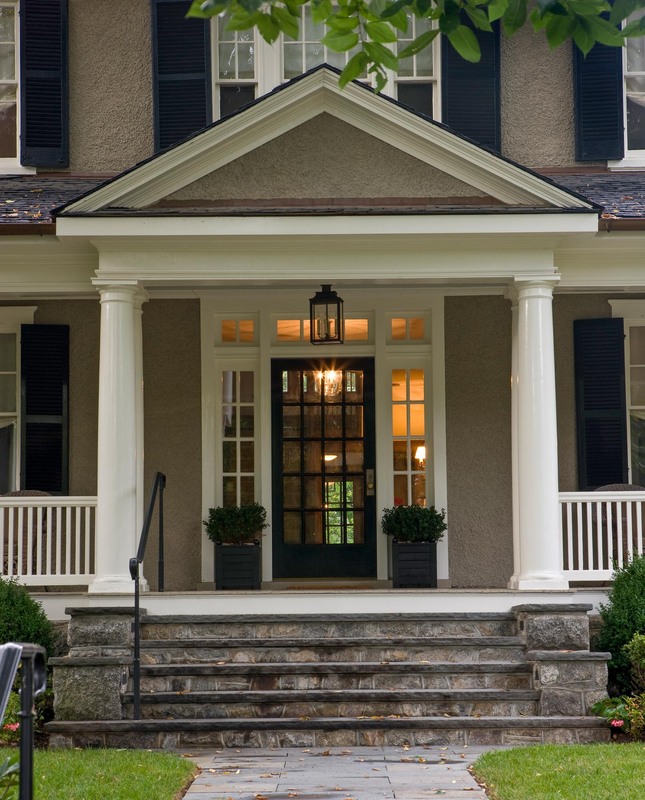 A dark blue door can also work with a white house and even shades of taupe. Well this just screams happiness. How fun to walk up to your home every day and open up this piece of joy. The gold hardware is outstanding! 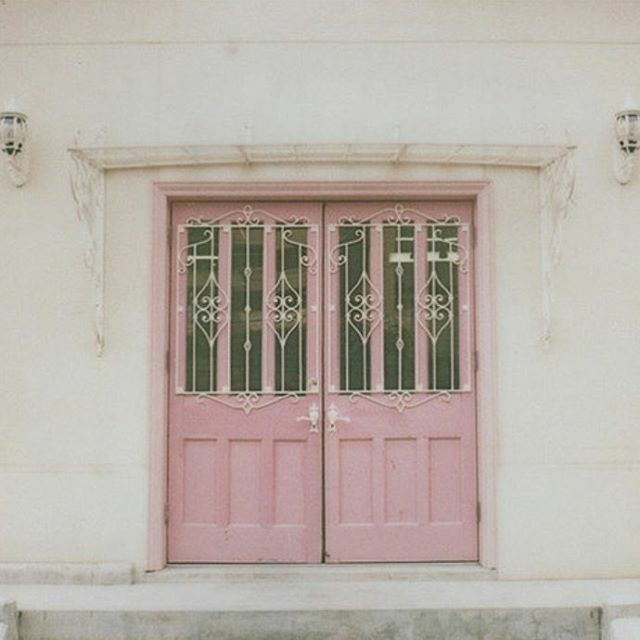 Pink would look amazing with many shades of exterior: gray, white, creamy white, taupe. And if hot pink isn’t your thing, what about a softer shade of pink? Just lovely. If you’re not ready to commit to a new front door, or a fresh coat of paint, explore your landscaping options. Sweeping colorful trees or just big beautiful greens in pots could make all the difference in the curb appeal you’re looking for. Talk to your local nursery to find out what will grow well with some shade if you have it and not completely take over your entrance. Ever notice how all of the flats in London look so spectacular? Here’s the secret, the shiny black front door. It really works with just about every color, texture and shape of exterior house. Before you know it, the whole block will be painting their doors shiny black after they see yours.